This is a popular species with flowers typically carmine violet to purple-pink in color, seldom white. 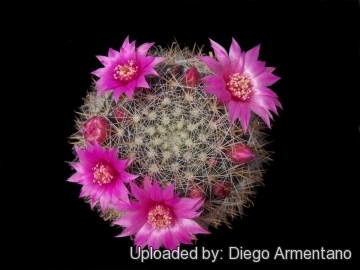 It is one of the most prolific bloomers among the Mammillarias. 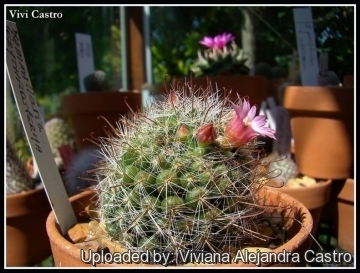 Origin and Habitat: Mammillaria zeilmanniana, is found at a single location, at San Miguel de Allende in Cañada Virgen, Guanajuato state, central Mexico (extent of occurrence and area of occupancy less than 1 km2). Habitat: Grows in a very restricted area in a narrow passage with sheer volcanic rock (igneous), large deciduous trees and flowing water offered shade and humidity in an otherwise very dry environment. It roots grow in the thin layer of moss and fern growth that covered the lower, shaded vertical rock that formed the canyon side. It is listed as Critically Endangered because it has a very small population size (less than 250 mature individuals)and an extremely restricted range. The number of mature individuals is declining because of illegal collection. 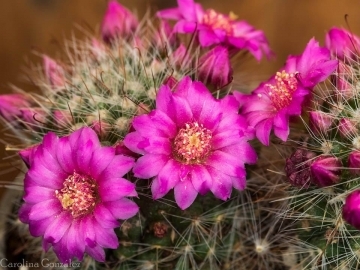 This species is collected by cactus enthusiasts for use as an ornamental. It is cultivated commercially for the international trade. 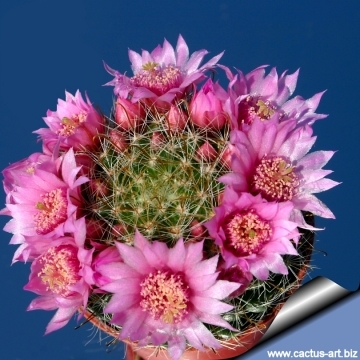 Description: Mammillaria zeilmanniana (Mammillaria crinita f. zeilmanniana) is a popular cactus species with flowers typically carmine violet to purple-pink in color, seldom white. In cultivation it is heavily clustering. (while in its natural environment it is often simple and rarely branching). 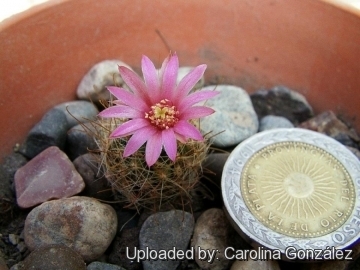 Taxonomic notes: Considered a synonym of Mammillaria crinita by Anderson (2001) and the assessors. Accepted as a species by Hunt (1999) and Pilbeam (1999). The claimed distinguishing characters of this taxon, fruit color, appear in other populations of M. crinita while the intensity of the flower color is unique. It appears to be no more than a form albeit a very popular one. Stems: Glossy green, spherical or oval to short cylindrical, 6-12 cm high, 4.5-8 cm in diameter. Tubercles: Oval (Tubercle arrangement: 13-21). Areoles: Woolly when young. The axil is naked. Radial spines: About 15-18, radiating, finely bristly or hairlike white, pubescent. Central spines: 4, the upper 3 straight, the lowest hooked, slightly longer than the radials, reddish brown. Blooming season: The flowers can come at any time of the year. Fruits: Whitish green to pale pink. 1) Fitz Maurice, B, Fitz Maurice, W.A. & Bárcenas Luna, R. 2013. Mammillaria zeilmanniana. The IUCN Red List of Threatened Species. Version 2014.2. <www.iucnredlist.org>. Downloaded on 02 November 2014. 2) Wikipedia contributors. 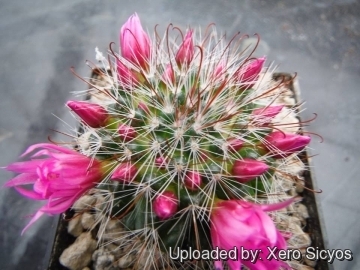 "Mammillaria zeilmanniana." Wikipedia, The Free Encyclopedia. Wikipedia, The Free Encyclopedia, 23 Sep. 2014. Web. 2 Nov. 2014. 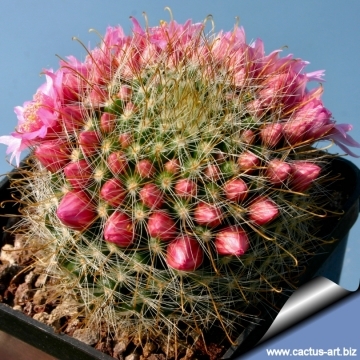 Cultivation and Propagation: Mammillaria zeilmanniana is an easy species in cultivation. Most plants will offset readily, and clumps can be produced in a very few years given the best conditions. Growth rate: It is a small growing, but easily flowering species. Repotting: Repotting every 2-3 years. It will need a pot with sufficient depth to allow the tap root. Use pot with good drainage. Watering: Water regularly in summer, but do not overwater (Rot prone), keep dry in winter. 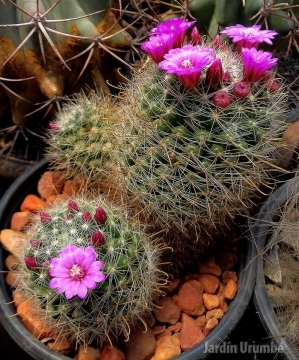 In winter keep the Mammillaria in a very dry place with ample airflow, no humid atmosphere! 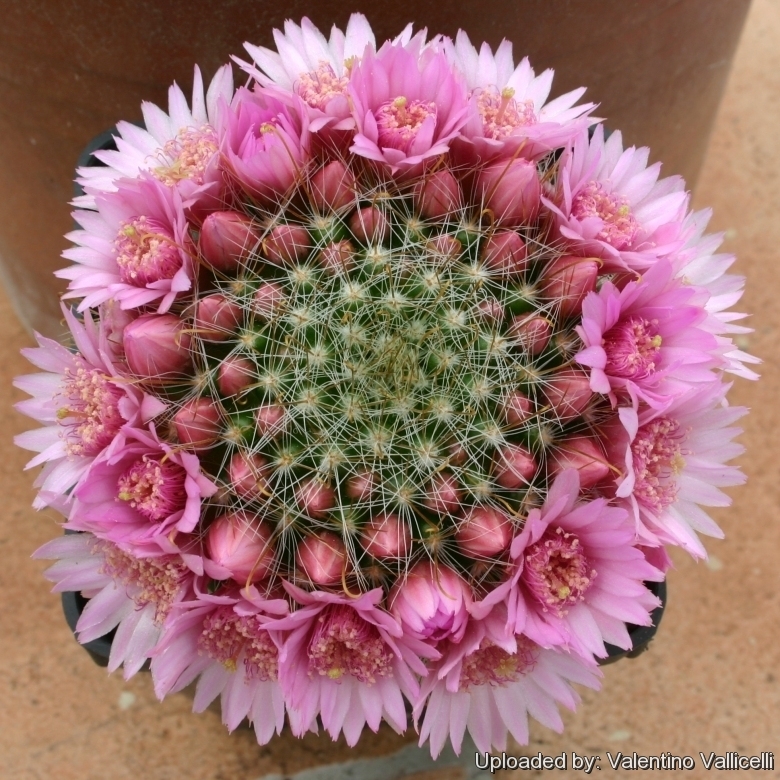 - Rot: it is only a minor problem with mammillaria if the plants are watered and “aired” correctly. If they are not, fungicides won't help all that much. There are a total of 16 Photos.